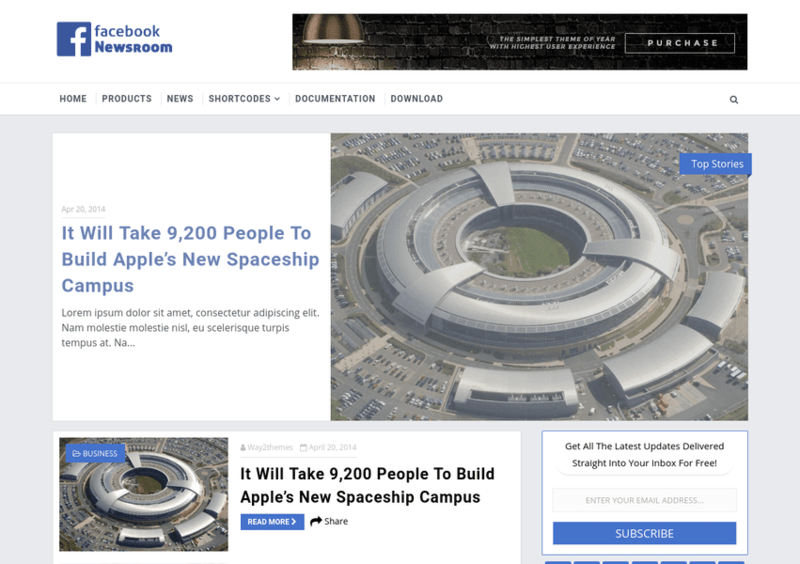 FB Newsroom is a responsive blogger template adapted from Facebook Newsroom Blog. FB Newsroom Blogger template is dedicatedly designed and crafted for all types of bloggers / Magazine. A versatile template that is easy to use whether you are beginner, very customizable, functional, packed with a lot of features, comes with multiple content management widgets with easy to setup feature. You can make any kind of blog with all-in-one template whether for Food blog, Lifestyle Blog, Photography Blog, Cake Blog, Travel blog, Parenting/Mom’s blog, Health, Fitness and Gym, Personal Blog, Fashion Blog, Yoga Blog, Pets Blog, Car mag, Game Mag, Tech Mag and many more. FB Newsroom is the perfect blogger template to drive your success. Following are some of the key features of FB Newsroom blogger template.